Fire is for prehistoric man. The modern man uses the sustainable and renewable energy of solar power to cook meats an veggies – like the GoSun Stove . The company was selected from the halls of CES as the Wild Card contender in Hardware Battlefield 2016 where it is competing with 14 other startups in a bid to win $50,000 and the Hardware Battlefield trophy. The stove is clever. It uses a unique design that directs sunlight towards a cylinder, which the company says can heat up to 550 degrees in some models in 10 to 20 minutes. 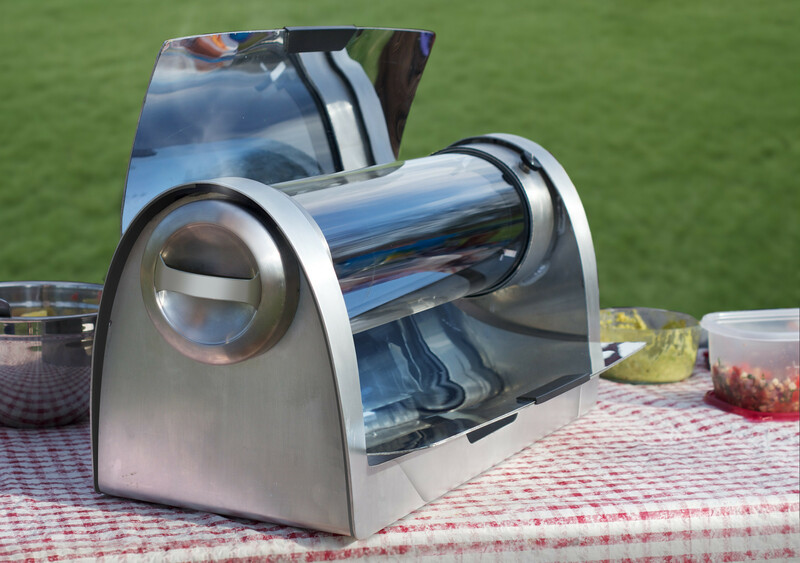 The food cooks inside a solar evacuated tube that absorbs more than 80% of the sunlight reflected onto the tube. The design captures light from a broad range of angles, allowing the GoSun to keep on cooking while the sun moves across the sky. The stove is efficient enough to even work in the winter. And if clouds cover up the sun, the GoSun Stove stays warm enough to even continue cooking food. The company sells a variety of models. The GoSun Sport costs $279 and is currently available. The GoSun Grill is the company’s latest model and is expecting to ship it this summer at a price of $599. This model is much larger than the Sport and can even cook whole chickens or bake a cake. Then, for $749, there’s a model that features a USB recharger that harvests energy from the stove’s heat to recharge electronics while your roast is cooking.